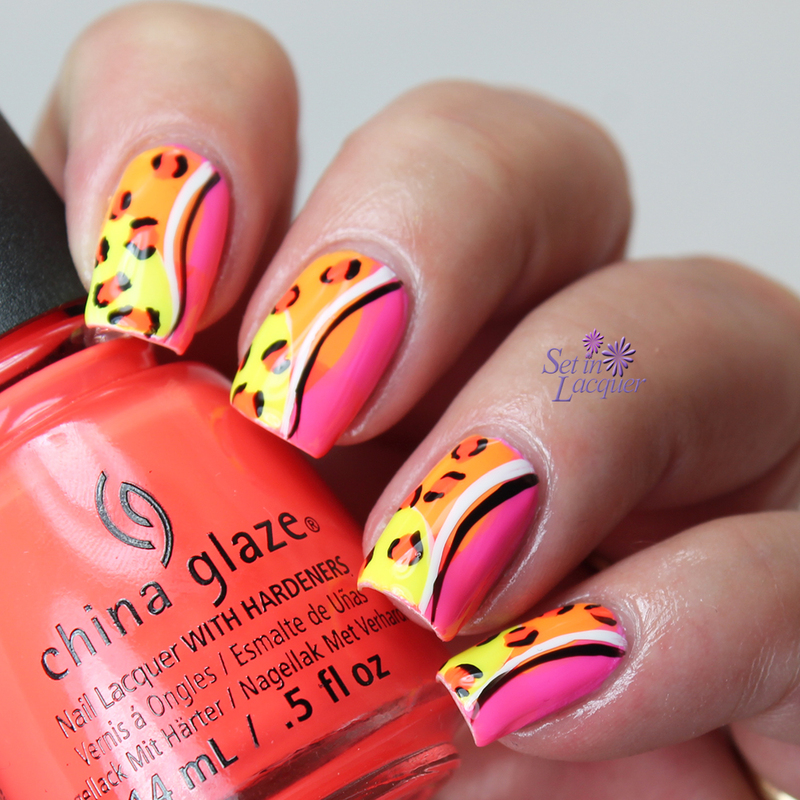 The newest China Glaze Collection "Electric Nights" screams for some neon nail art. 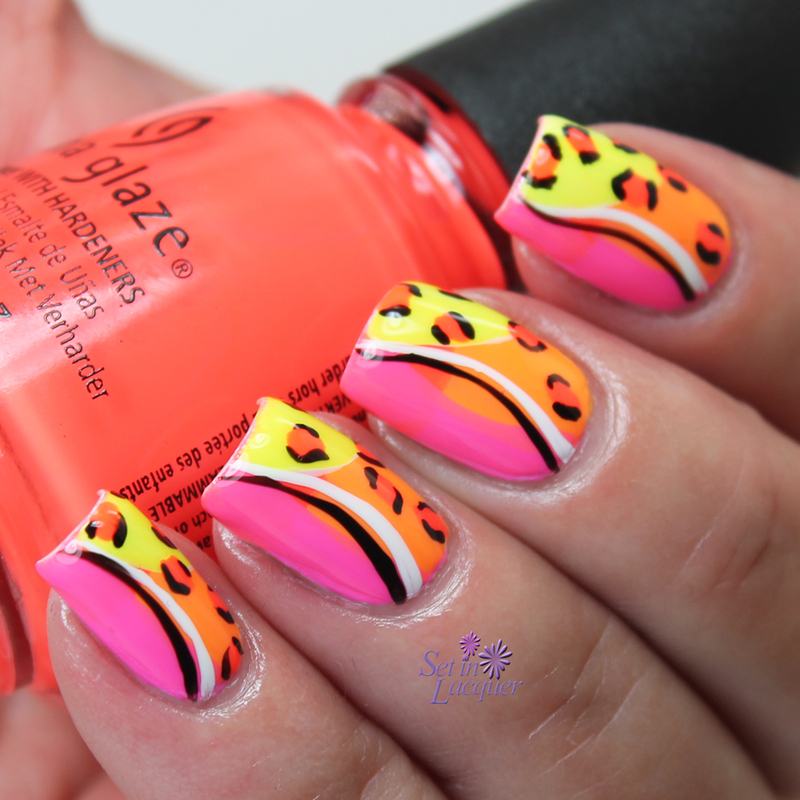 So I used a few of them in a neon leopard print. I used Red-y to Rave, Home Sweet House Music, Daisy Know My Name, Liquid Leather and White on White to create this amped up leopard print. (Liquid Leather and White on White are part of previous China Glaze collections. You can see swatches of the collection on my previous post here. 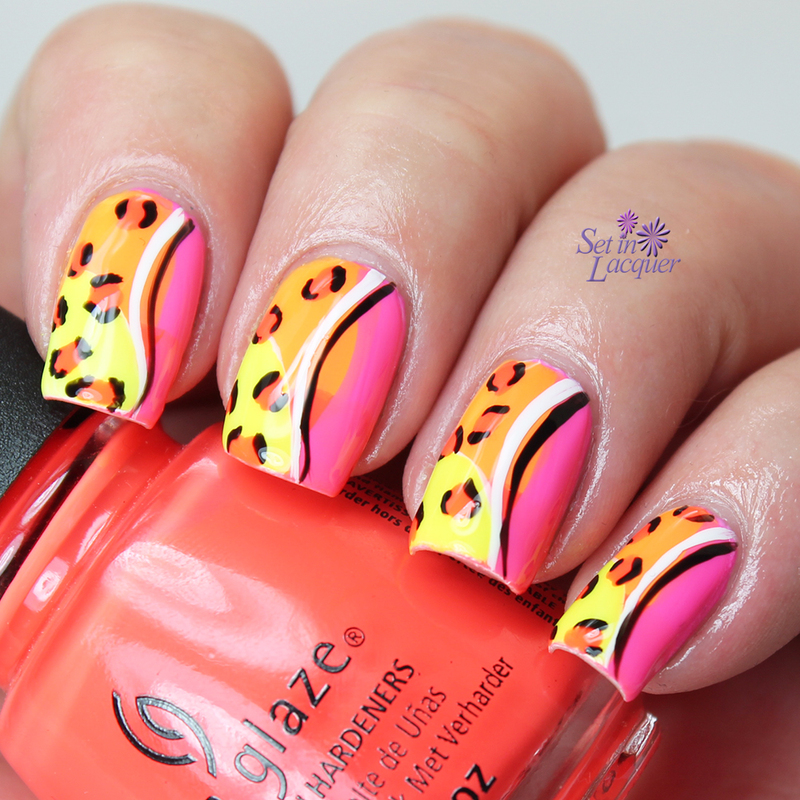 This is a relatively easy nail art look to achieve. I have a tutorial of it that I previously posted here. One thing I can say is my photos have improved immensely. This tutorial was posted a couple of years ago. It's still one of my favorite nail art looks. China Glaze® Electric Nights April 2015 is available at fine beauty supply stores and salons nationwide including Ulta and Sally Beauty Supply for about $7.50. It's the final day of Digital Dozen and I liked the mountain scene I posted earlier so much that I had to try something along the same lines. This one is a little more abstract. I definitely used the Bob Ross method for some of it. But it worked. I used Zoya Lillian for the sky and Zoya Rayne for the water. I love how Rayne actually provides the shimmer for the lake. The rest of the scene was created using acrylic paints. I can't wait until next month's Digital Dozen theme. 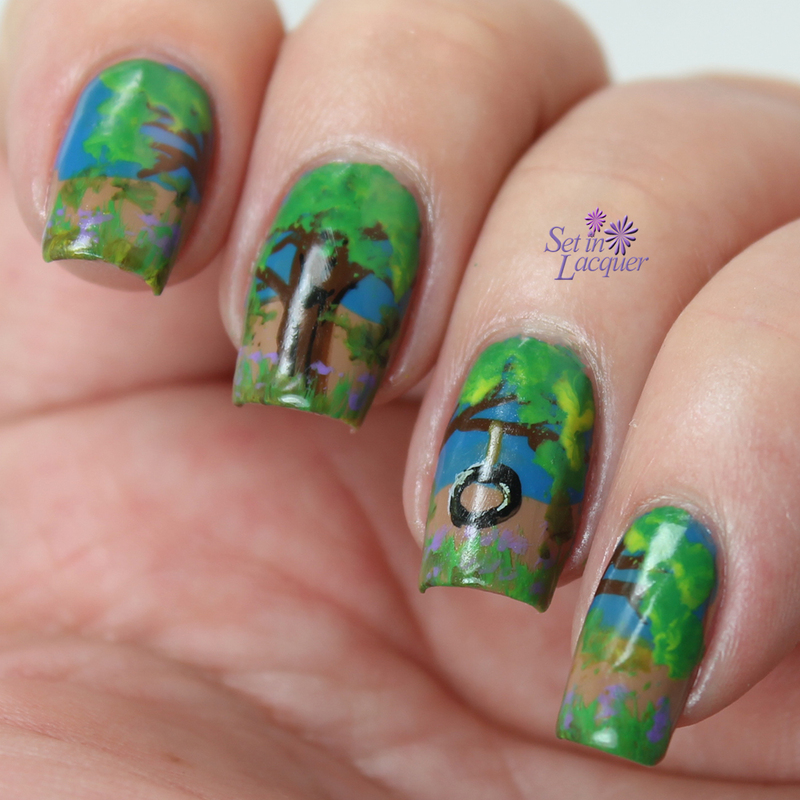 In the meantime, check out some of the other nature-themed nail art looks below. It's Day Four of the Digital Dozen Nature Week. I decided to try a new technique. Well, I am sure someone has done it, but it's new to me. I decided to see what it would look like if I layered designs between top coat. So, it's sort of like a pond mani... but clear. 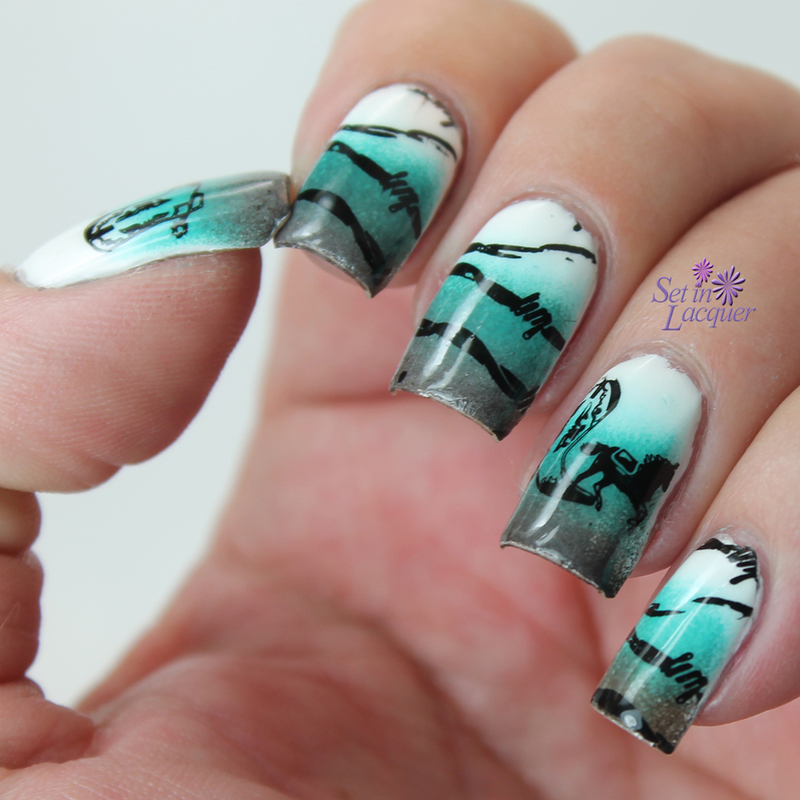 I started off with a base color of Elevation Polish "Storm in the Morning Light." Then I painted the leaves and stems with metallic green acrylic paint. Then I applied a coat of Seche Vite. 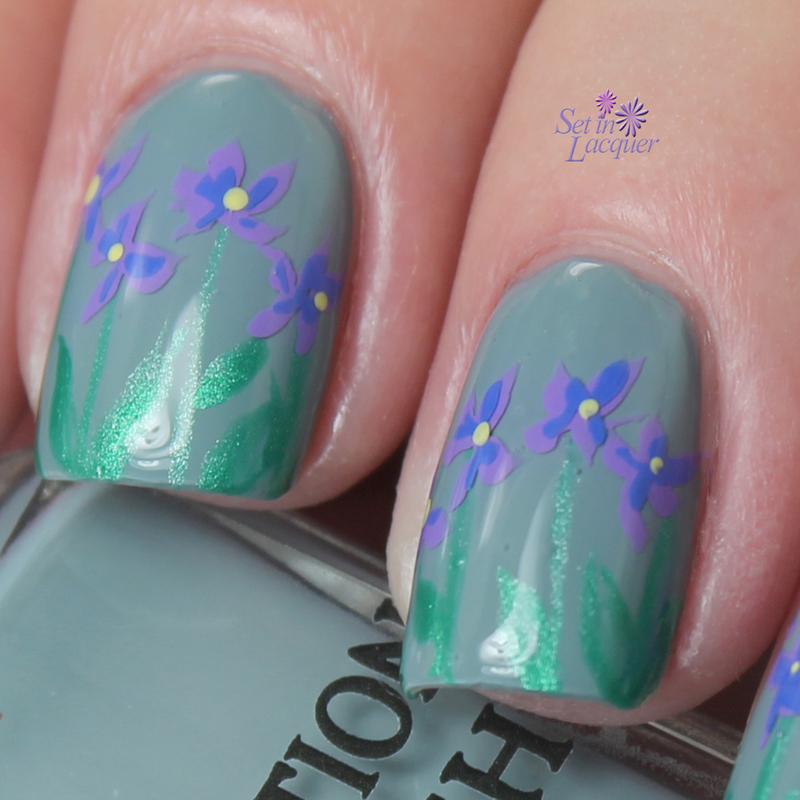 After that dried I applied the light purple petals and then another coat of Seche Vite. I repeated that for the dark petals and then the yellow centers. It really does give it a three dimensional look. I may have to try this with different designs. I kind of like the illusion. 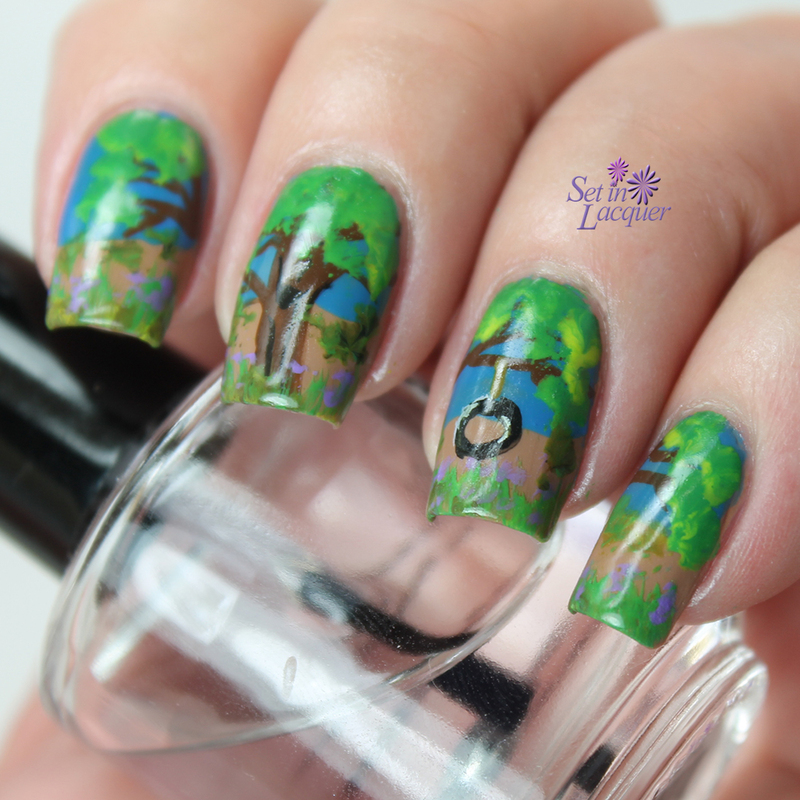 See some more nature-themed nail art looks below. It's day three of Digital Dozen week. This week is all about nature. And I am having so much fun with this theme. 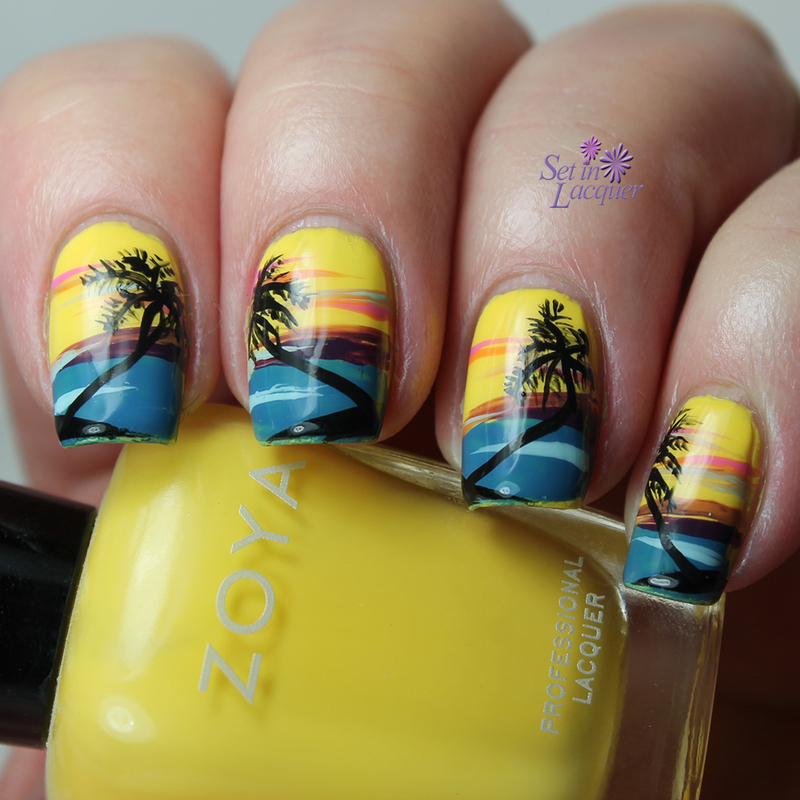 Today's post is tropical and colorful. This beach landscape scene makes me want to be somewhere warm. 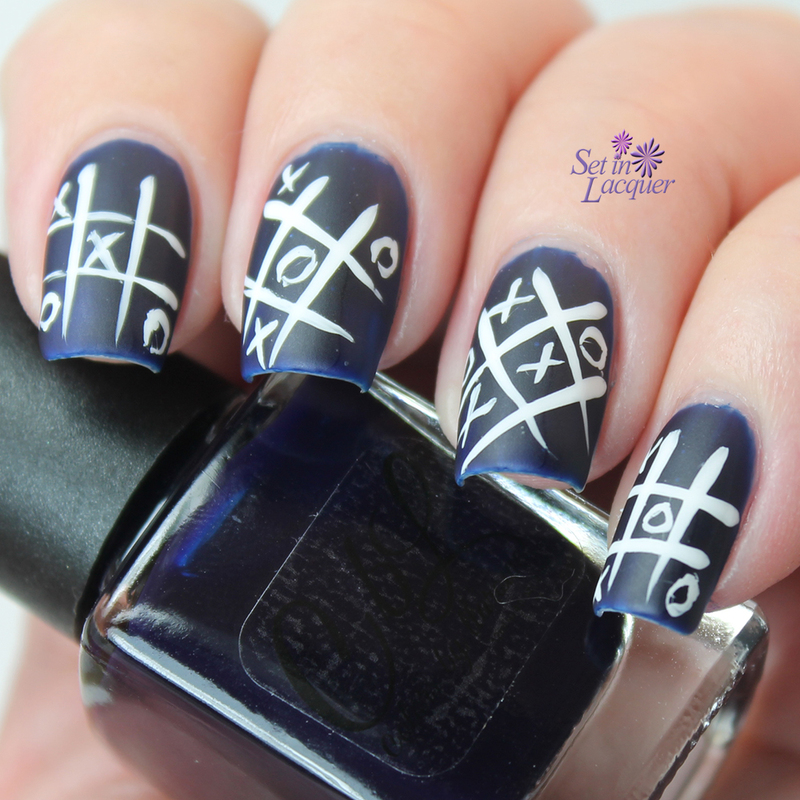 I used Zoya Polishes for this nail art. The yellow is Zoya Pippa; the blue for the water is Zoya Breezi; the lighter blue in the water is Zoya Lillian; the black for the land is Zoya Willa; and the highlights in the sky are Zoya Eden, Arizona and Monica. I used acrylic paint for the trees. A top coat of HK Girl provides the protection and shine. 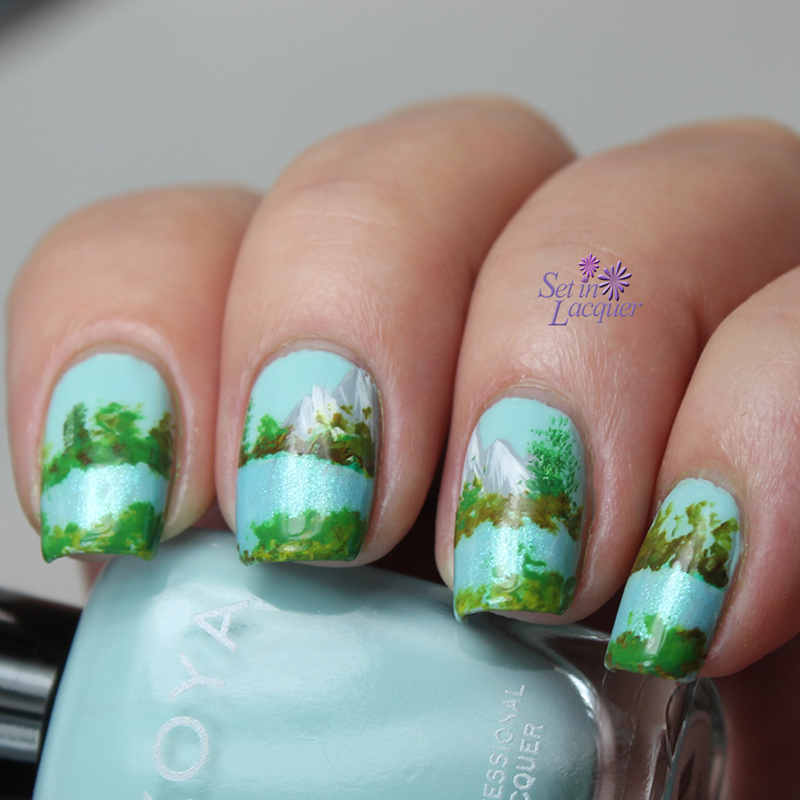 See more amazing nature-themed nail art looks below. It's another Digit-al Dozen week. 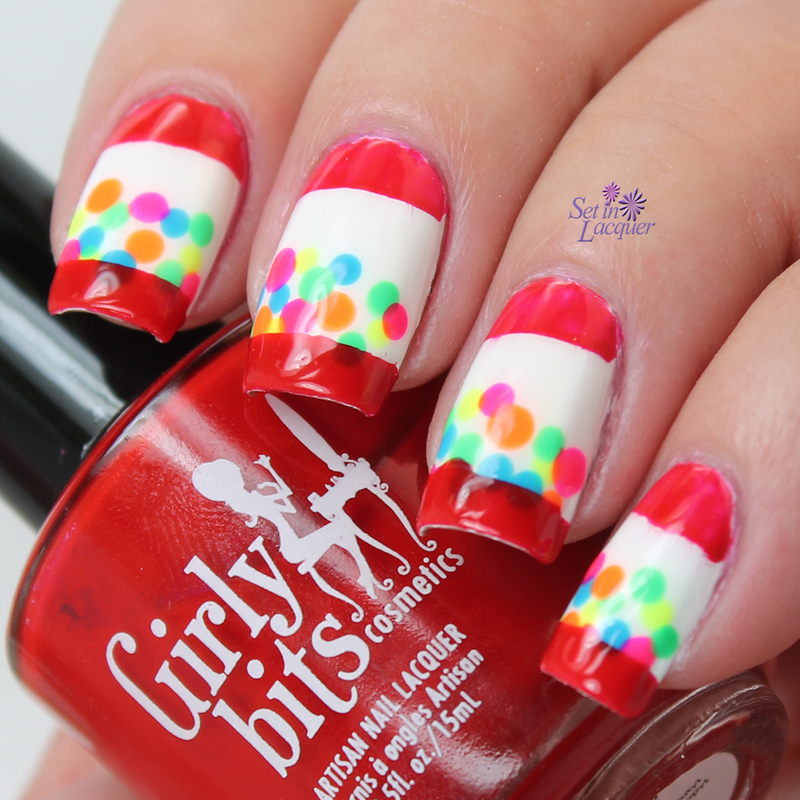 The Digit-al Dozen is a small group of diverse nail art bloggers that post nail art inspired by a new monthly theme for five days in a row. You can find us blogging away the second week of each month! This month's theme is Nature. I am loving this theme. 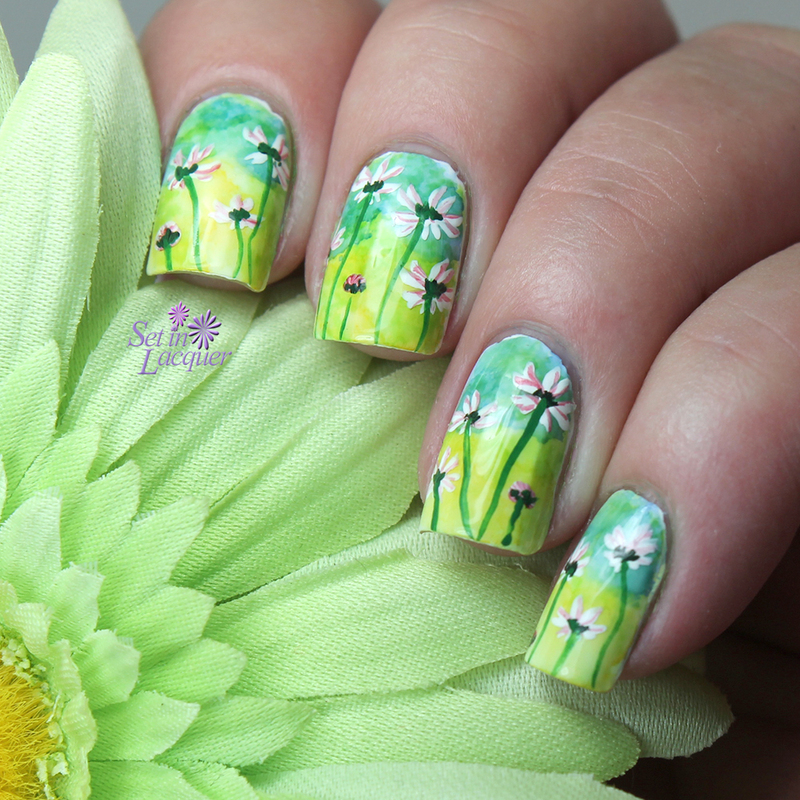 It means I get to create some floral and landscape nail art. I realize there are lots of other things that could fit into this category. But I was excited to do something I love. 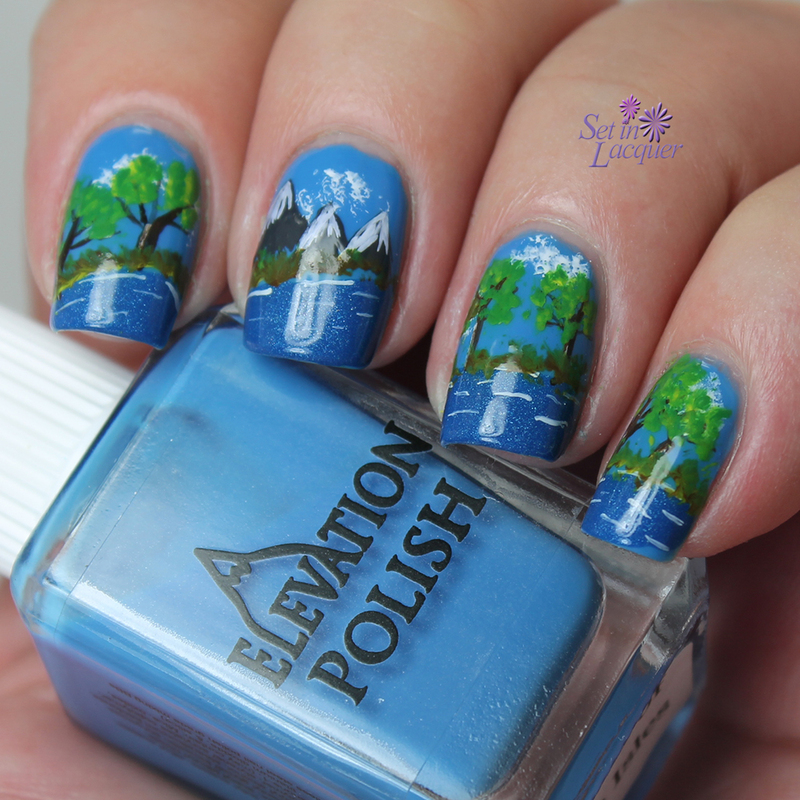 This mountain scene was created with Elevation Polish and acrylic paint. I used Elevation Lake of the Isles for the sky and Bohai Sea for the water. The gray in the mountains were created using Thracian Sea. I used acrylic paints for the rest of it. White acrylic paint applied with a QTip made the fluffy clouds. I hear so many people say they can never create intricate nail art. Well, yes you can. Landscapes and florals are oh-so-forgiving. Mine aren't perfect - and they never will be. To create a landscape scene, simply break it into sections. One element at a time. I used a top coat of HK Girl to seal it in and protect the nail art. Some of these products were previously provided to me for an honest review and some were purchased by me. All opinions are my own. Please note that computer monitors may display colors differently. See some of the other amazing creations of natures by some talented ladies. I had a fun event to attend last night. And like most of us, I wanted my mani to match my outfit. I had a black lace jacket that I wore over a hot pink shirt. So I wanted to do something lacy to match. However time was limited so I needed something I could do in a short amount of time. Accent nail to the rescue. I used Zoya Whitney and Raven. 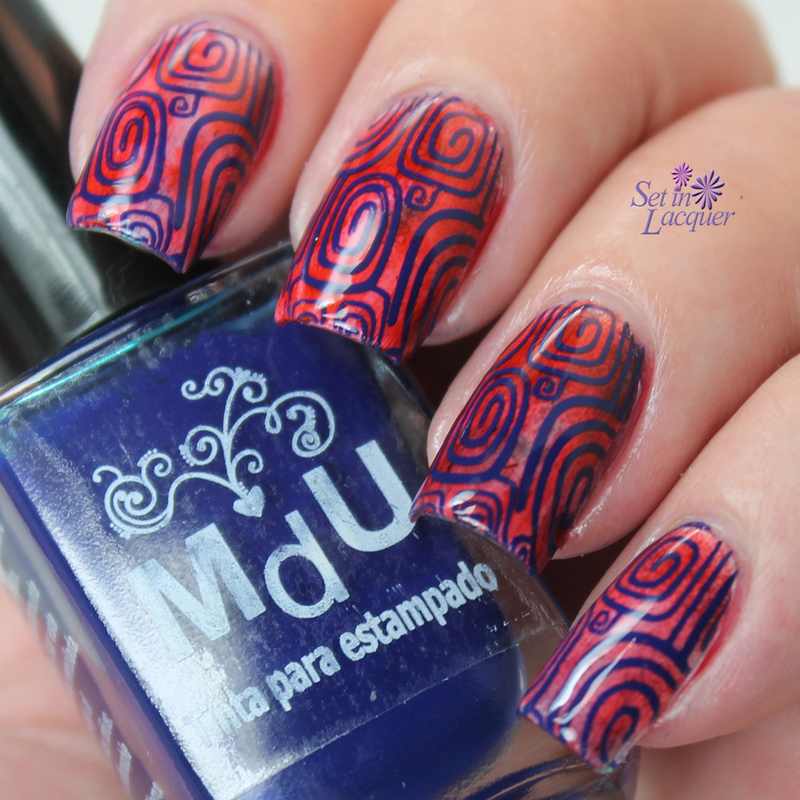 The stamp is from Fab Ur Nails plate Fun 5. I used acrylic paint to paint the flowers over the lattice, which I was hoping would look like lace. And it did - from arm's length away. 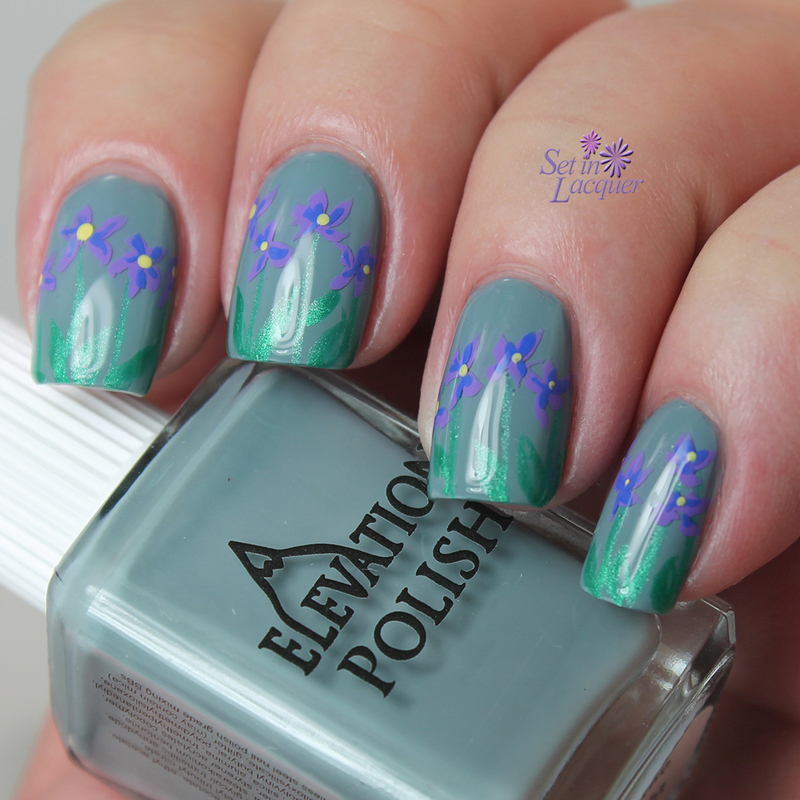 Adding the flowers helped as I am not a strong stamper. So I placed the flowers over the areas that didn't transfer well. It completely matched the colors in my jacket and shirt. I am pleased how it turned out. Matte or glossy? How about both? I have a simple, yet oh-so-glam look for you today. Simple is always a good thing. There are times when I like to get into the detailed work and spend lots of time on my nail art. But that is therapy for me. Then there are the times when I want something that looks good, but doesn't take a lot of time. This is one of those creations. I used two coats of Colors by Llarowe Vincent and then applied a coat of Pure Ice Matte Top Coat. After the matte top coat dried, I applied some curved lines and dots with Vincent again. That's it. Easy at its best. These polishes were purchased by me. Well, Vincent was previously sent to me for review; but I purchased another bottle for a back-up. 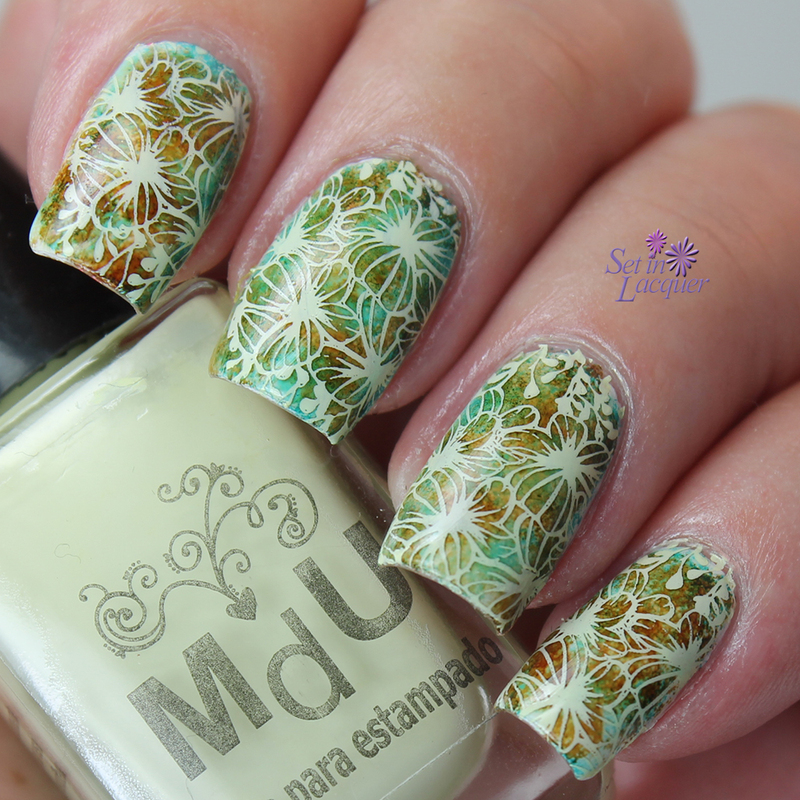 Today I have for you a fun St. Patrick's Day nail art look created with a special collection from Salon Perfect. Four of the polishes are from the core line, and two of the polishes can only be obtained if you win a giveaway! (There's only 100 of these polishes.) They are custom-blended* polishes just for this giveaway. In other words, you can only own them if you win them. And the great news is -- twenty Set in Lacquer readers will win this St. Patrick's Day Collection. Yes, you read that right... 20 winners! The giveaway ends tomorrow, March 3, 2015. But in the meantime, let's look at a couple of the polishes. I couldn't decide what look I wanted to go for, so I created a mixed mani. I used KBShimmer nail vinyls to create the stripes on the index nail. For this look, I used Sugar Cube - a pure white cream, Loopy Lime - a neon green creme, Sham-rock Your Socks Off - a fun green and white glitter (which is one of the custom blended polishes), Escape to Neverland - A Peter Pan green creme polish and Gold Leaf - a metallic gold polish. If you just can't wait to see if you win these, you can purchase the polishes from the core line at Walmart. Follow Salon Perfect on their social media channels to stay current on new collections and specials. Today's post is the first of several. 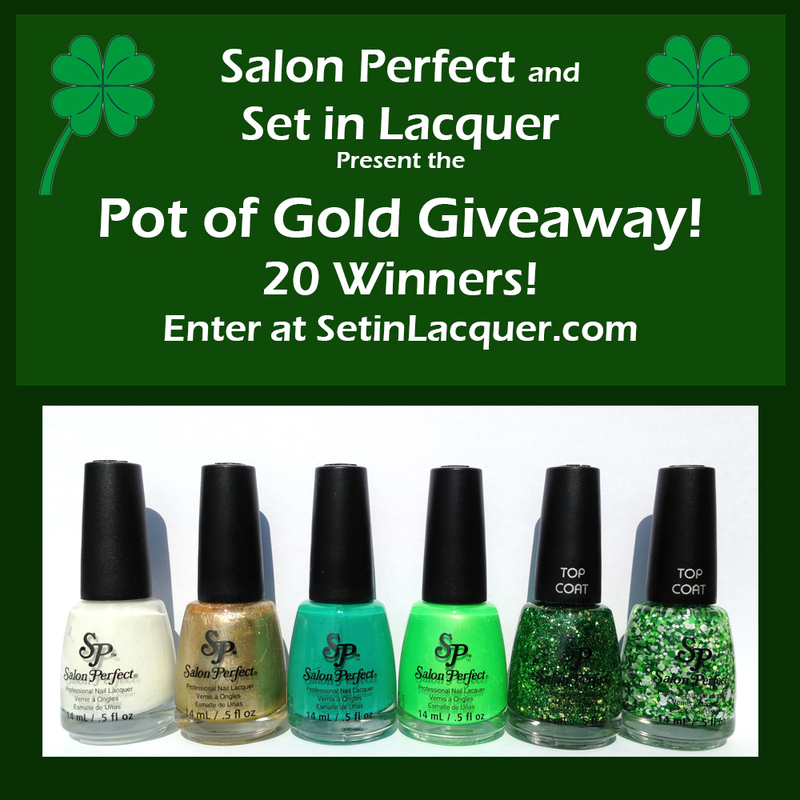 Salon Perfect has put together a great St. Patrick's Day Collection. Four of the polishes are from the core line, and two of the polishes can only be obtained if you win a giveaway! They are custom-blended* polishes just for this giveaway. In other words, you can only own them if you win them. And the great news is -- twenty Set in Lacquer readers will win this St. Patrick's Day Collection. Yes, you read that right... 20 winners! But in the meantime, let's look at a couple of the polishes. I created some simple nail art using Loopy Lime. 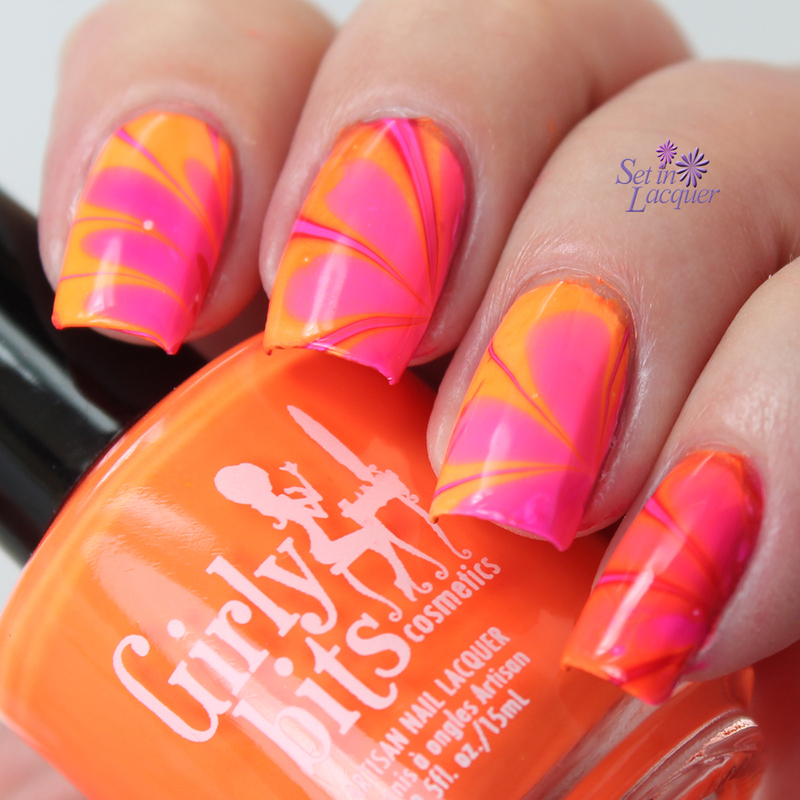 I love this neon lime shade. It has the perfect bit of shimmer. Then I added one of the custom-blended "only-own-it-if-you-win-it" glitters on my index nail. This is "Luck of the Irish." On the ring finger I added a wide diagonal stripe (I used KBShimmer's straight line nail vinyls to help) of Salon Perfect "Gold Leaf." The small shamrock was created using Loopy Lime. Here's a closeup of Luck of the Irish. 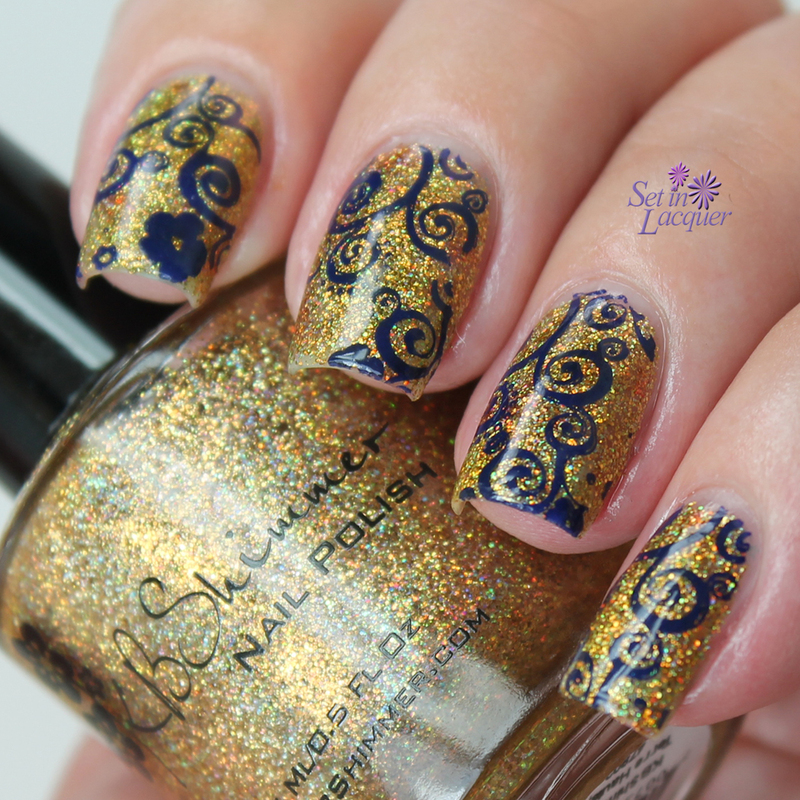 This clear based top coat has small green glitters and larger flakes of gold. It is perfect for St. Patrick's Day. I am going to have fun with this collection. Stay tuned for more swatches and nail art. These Salon Perfect Polishes are available at select +Walmart stores nationwide for $3.98. Well, except for the two custom-blended glitters. To get those you are going to have to enter and win! Salon Perfect has affordable, quality polishes. Make sure to check them out. Follow Salon Perfect on Facebook to keep up with new releases.